One of hardest struggles the new parents are facing when it comes to living with the newborn is waking up at midnight to attend to a crying infant. When little ones have short sleeps at night, nannies and parents also need to give up their zzzzs! Eden Grace Maids Agency wants to share with you these several methods on how to train your baby to have a good night sleep throughout the night with less supervision. These may also help your Indonesian nanny and Filipino nanny when they are looking after the baby. Hunger is one of the common reasons why the baby would wake up and cry in the middle of the night. Our Filipino maid’s initial reaction is to go and prepare a milk bottle so the child would drink and go back to sleep. If parents and nannies continue to do this, the baby will soon get used to midnight meals and may probably look for extra milk every night. Doctors also say consuming much milk in the evening than in the morning may also interfere to the baby’s solid food diet as he grows. The duration of naps for each baby depends on their ages. In his first weeks outside the womb, his sleeping pattern would be a little irregular, when he reached his third month, then you can let him sleep through a schedule. 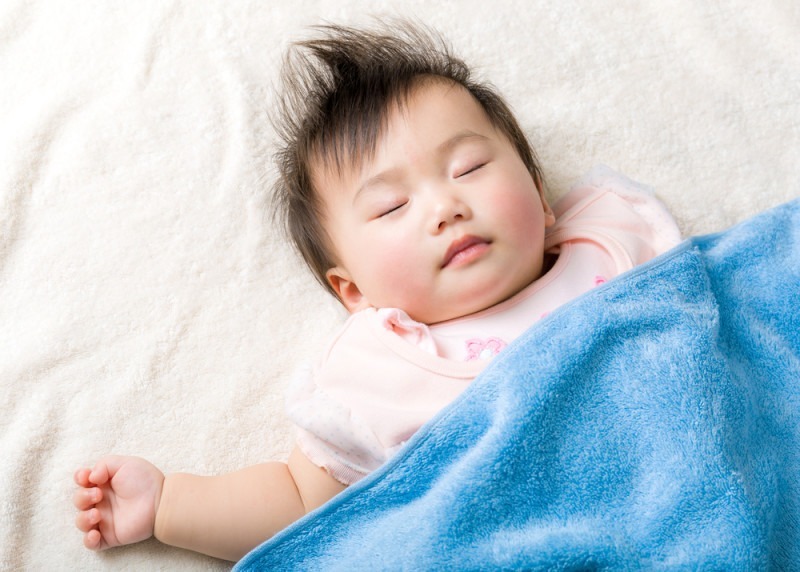 Typically, a newborn sleep for 2 to 4 hours in chunks, a 3-month-old will have 4 naps, and a 6-month-old will have 3 naps. It depends! There are a lot of Sleep Cheat Sheet online that the maid can use as reference. There are many reasons why infants cry. It can be because of thirst, hunger, full diaper, or sickness. When the child starts whimpering while the world is sleeping, let the Filipino nanny check the said factors first. Sometimes, growing babies learn how to use their tears to get their parent’s and nanny’s attention. – First, let the baby cry for five minutes and observe. – If he’s still crying, the maid can carry him and calm him down for some time and leave. – If he cries again after a few minutes, increase the waiting time to 10 minutes and calm him down. – In tomorrow’s bedtime, wait for ten minutes and observe. This method may not work to some babies. This is for moms who breastfeed their baby. The mother’s food choices directly affect her breast milk’s content. Sometimes, moms opt to take coffee to stay up late at night and feed the baby. However, babies may consume the caffeine and stay awake too. The worse thing is infants have more difficulty in eliminating the caffeine inside the body than the adults. We suggest that mommies would stop drinking coffee altogether, or at least just drink some cup 5 hours or longer before breastfeeding the baby. We hope the methods help! We wish your baby a longer sleep throughout the night.